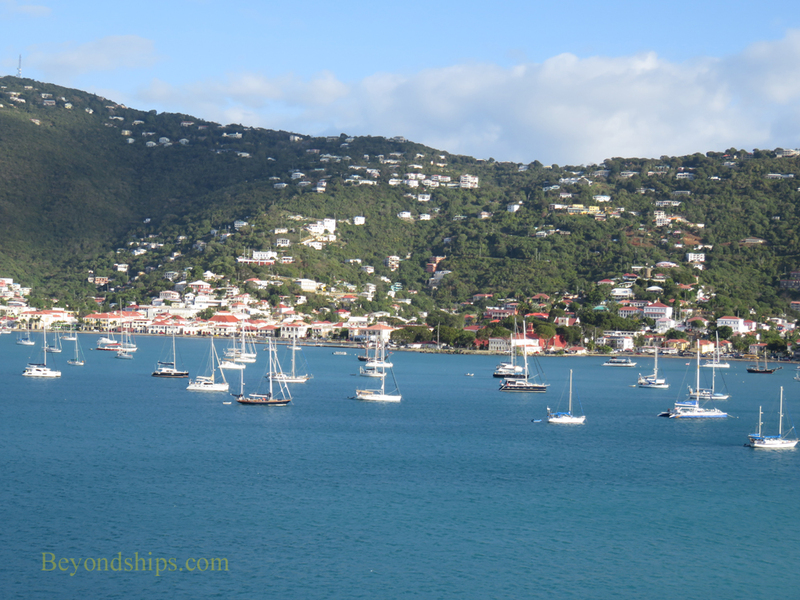 You can easily see downtown Charlotte Amalie with its shopping and other attractions from the cruise ship port at Havensight. 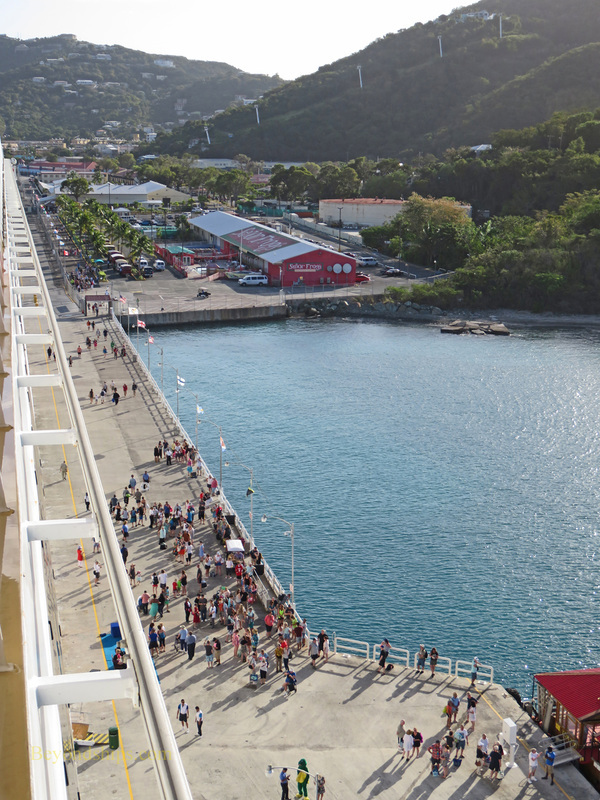 There is a substantial bay lying between the cruise port and downtown. 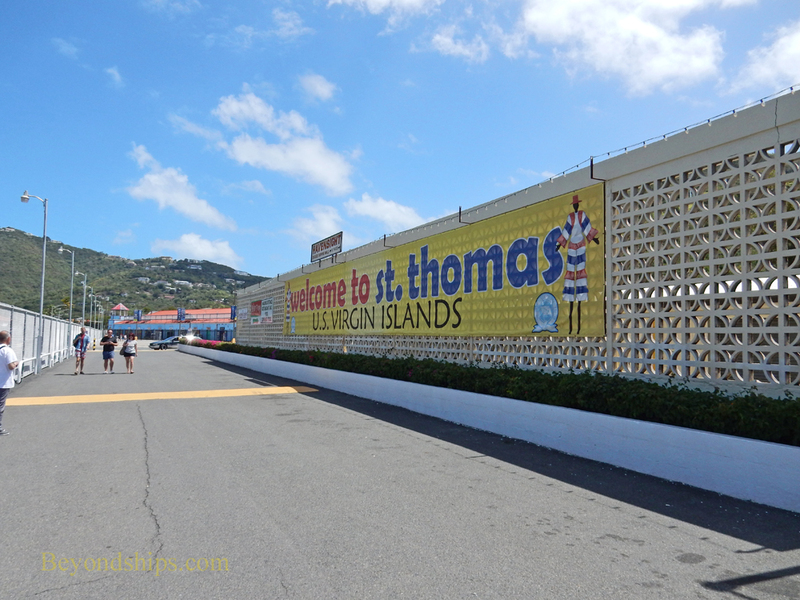 However, as many cruise passengers have discovered it is a relatively easy, albeit long, walk to downtown. The Havensight Cruise Port lies on the south side of the bay. The cruise ships dock parallel to the shore. 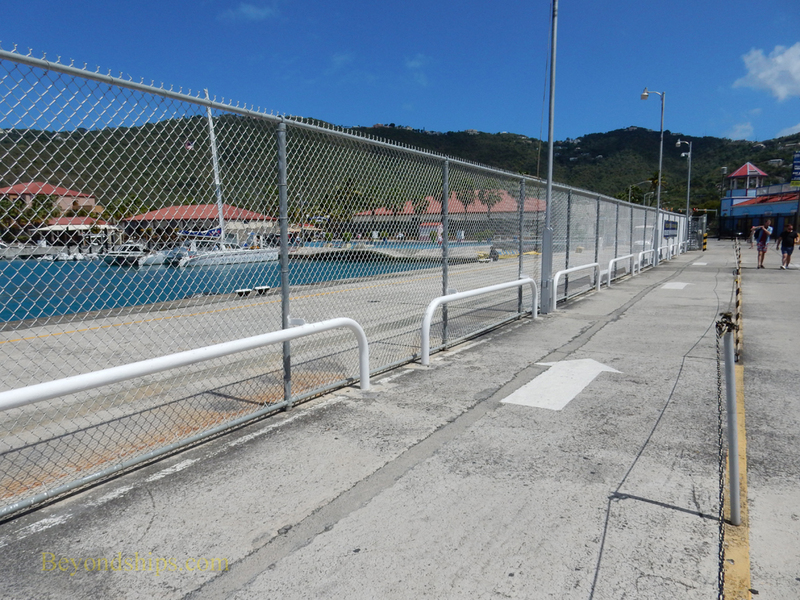 A security fence also parallels the shore about 20 feet in from the water. To begin our walk turn left after exiting one of the security gates. As discussed below, this walk involves a series of three left turns. Once outside, walk along pavement next to the fence. At some points it appears to be narrowing and coming to an end but there is passage all the way along the fence. 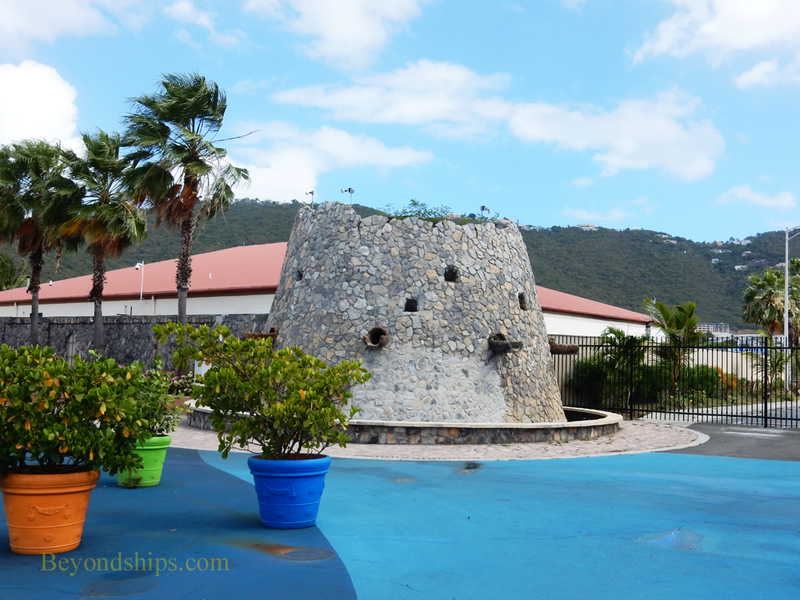 At the end of the fence, you come to a paved square with what looks like the ruins of a West Indies Martello tower. 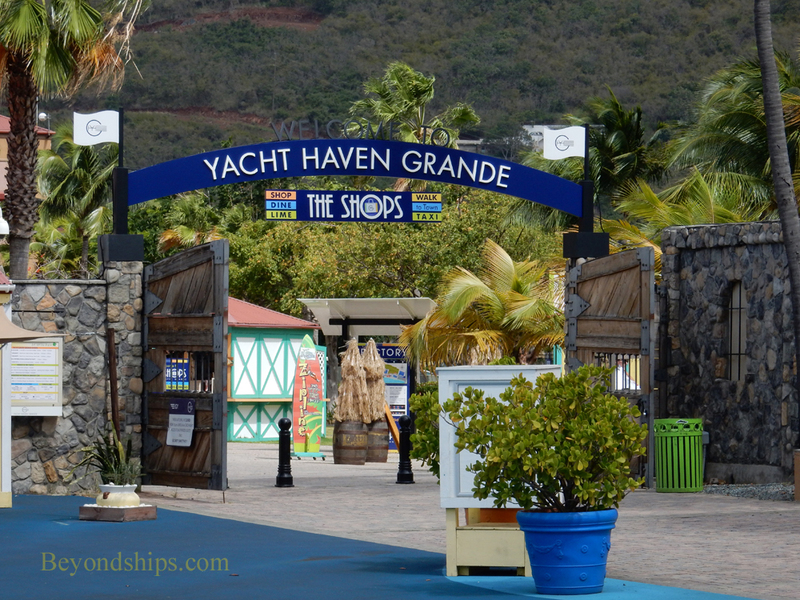 Turn left here and continue through the entrance to Yacht Haven Grande. This is a nicely landscaped complex that combines a marina with high-end shops and cafes. 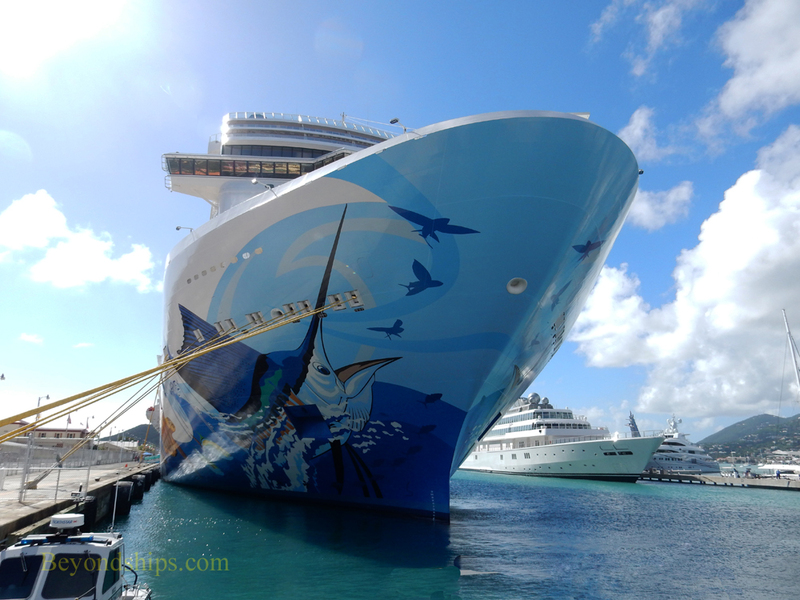 Walking across the square, you often get good views of the cruise ships docked at Havensight.